In small bowl, beat cream cheese until smooth and creamy. Beat in yogurt and lime peel. Serve with remaining ingredients. Store covered in refrigerator. Serve this creamy dip in a margarita glass with a salted rim. Rub the rim of the glass with the cut side of a lime wedge, then dip the rim into a shallow dish of coarse salt. Don't be limited to just the fruits we used--try other favorites such as red and green grapes or cut-up kiwifruit. Offer decorative toothpicks for smaller fruit pieces. 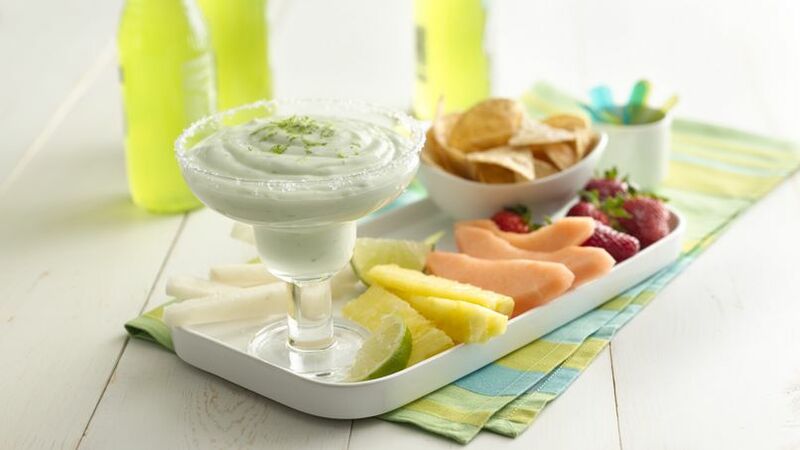 Make this quick and easy party-pleasing dip with Yoplait® Light margarita yogurt--perfect with sweet or salty dippers!